The 2019 Ride MTNPIG is the same all-mountain, ride anything feel, that is offered in the rest of the PIG-series. However, the MTNPIG differs in that it has a more directional shape, that's designed to create a stiffer and faster ride. Whether you're charging cliffs or tossing buckets in the back bowl, you can guarantee this board will perform. 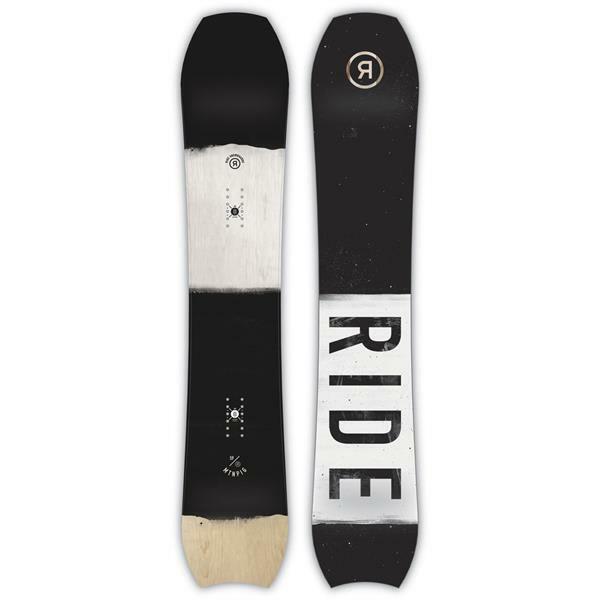 This board has camber in between the bindings and reverse camber in the tip and tail, to keep you afloat in the deepest of pow, aided by the 1.9cm stance setback that provides that surf-like quality. Don't be afraid to transition into the groomers If you're looking for a board that will make the whole mountain a playground, then quit your searching and pick up the 2019 Ride MTNPIG Men's Snowboard. SOOOOOOO much fun. Rode this at Squaw late season. Super stable. Chopped up late season cown snow was nothing for this board. Carves like a dream. I cant wait to ride it in powder this winter!